Accidentally, we opened a box of memorabilia from previous domain conferences; this particular one was from TRAFFIC 2008 in Orlando, Florida. Some great people attended the conference, among which Monte Cahn, founder and then still CEO of Moniker. 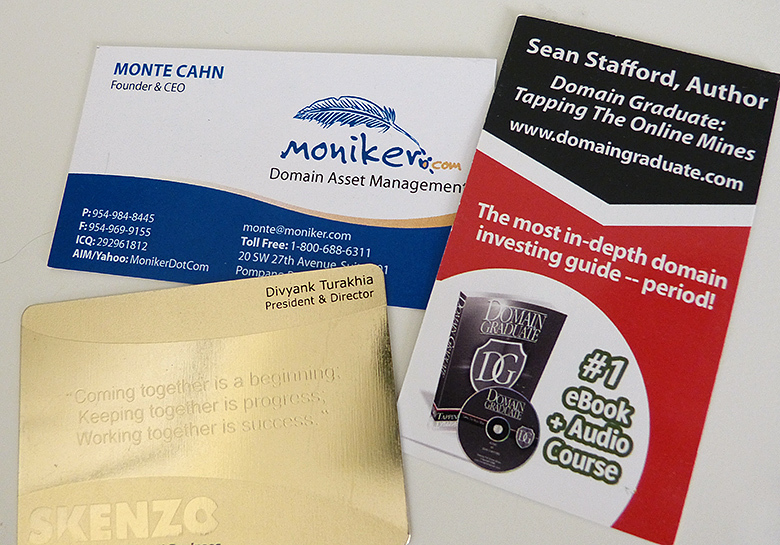 Sean Stafford, published author of “Domain Graduate” was there as well as DNZoom, and one could not miss Divyank Turakhia of Skenzo, and his wallet-shredder of a gold plated business card! Divyank Turakhia : Are your domain names safe in the USA ? THE Domain Conference : Moving to Orlando for 2017 ?